This analysis of the Acting Prime Minister and Attorney-General Aiyaz Sayed-Khaiyum’s Right of Reply in Parliament is the first of a two-part series. 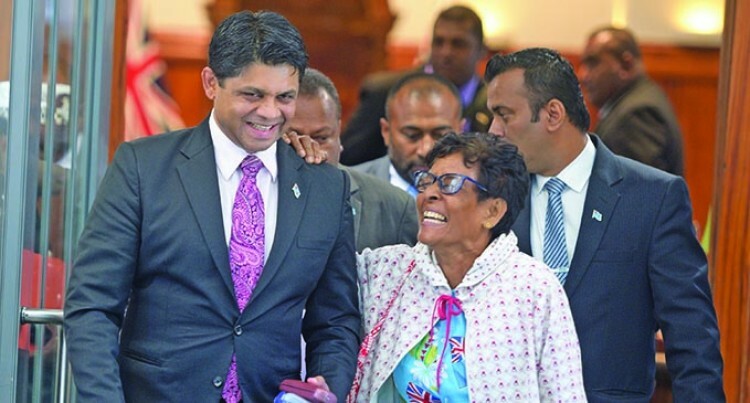 The message behind last Friday’s Right of Reply in Parliament by Acting Prime Minister and Attorney-General Aiyaz Sayed-Khaiyum was crystal clear and thought-provoking. It is premised on the fundamental truth that all of us, irrespective of our ethnic, cultural, political and socio-economic status and backgrounds, are children of God. That should be the standard or benchmark of all our political discourses. It means we are all equal in God’s eyes whether we are iTaukei, Indo-Fijians, part-Europeans, Chinese or other races. It abhors racism and all forms of discrimination. He said some had even called him “kawa ca”. This is a derogatory term which means inferior race. For those who don’t know, Mr Sayed-Khaiyum is married to Ela, an iTaukei, the daughter of Opposition SODELPA MP Viliame Gavoka. They have three beautiful children. Mr Sayed-Khaiyum made the pertinent point that those on the Government side could donate blood to Opposition members if their blood groups matched. The principle of equality and equal citizenry should guide our policy-makers. It is enshrined in the 2013 Constitution which recognises and protects the rights of all ethnic groups, their cultures and customs. It also caters for those with mixed ethnic and cultural heritage. In the case of the iTaukei, their communally-owned land, 91 per cent of Fiji’s total land mass, is well protected. The Constitution makes it very clear that it cannot be alienated or sold. This provision was incorporated into the Constitution after it was found by the Bainimarama Government that under the watch of then minister responsible in the Laisenia Qarase-led SDL Government, Ratu Naiqama Lalabalavu, iTaukei land in Momi and Denarau was converted to State land and then converted again to freehold. So much time is spent by SODELPA MPs like Niko Nawaikula, Viliame Gavoka and others, trying to push through their pro-indigenous agenda by using the United Nations Declaration on the Rights of Indigenous Peoples as the basis of their argument. It has become a go-to convention. Mr Nawaikula on several occasions has even gone as far as to claim that ethnicity was a core identity supposedly informed by the United Nations. Human Rights, as Mr Sayed-Khaiyum pointed out in Parliament. The indigenous experience in Fiji has been different to the indigenous experience in many parts of the world, for example in Australia where they were shot at as a form of sport after church, where they weren’t counted as human beings until the late 1960s. “Others had land taken away from them arbitrarily, their cultural practices banned. This is the ambit that the UNDRIP had its genesis in and from. Not from the indigenous Fijian experience,” said Mr Sayed-Khaiyum. Furthermore, the African Commission on Human Rights has observed that any incorrect construction of indigenous rights would lead to the tyranny of the majority over the minority and they have also stated that a strict definition of indigenous rights is neither necessary nor desirable. Mr Sayed-Khaiyum had also rightly pointed out that rights of indigenous people in Fiji who are mainstreamed are not bring infringed.